You must download the 1stPayPOS app from the App Store. 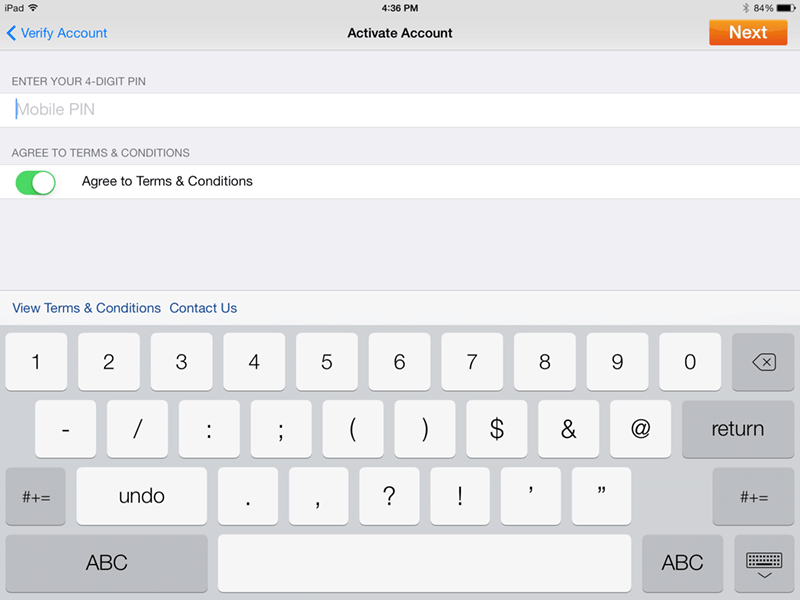 You must have a pre-existing Apple ID, which is created during the initial iPad setup. 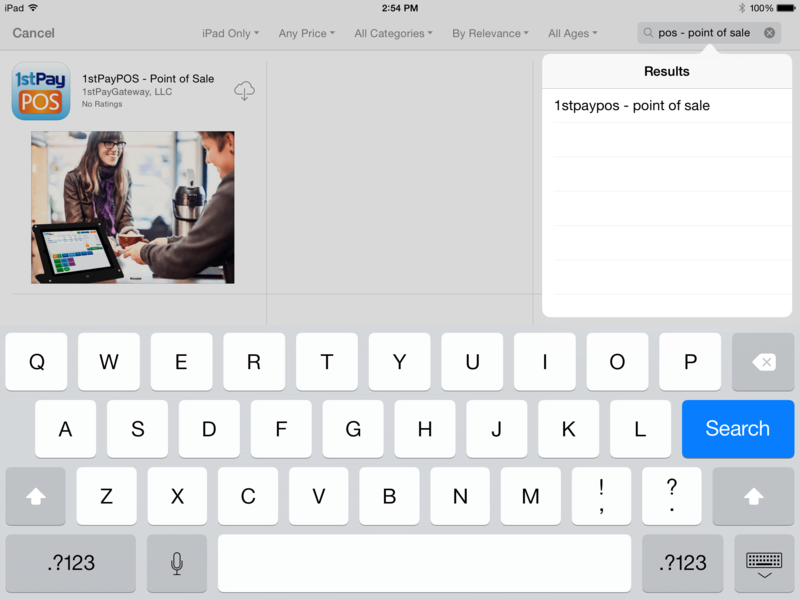 Type "1stPayPOS" into the search box at the top right, without any spaces or dashes. Select 1stPayPOS - point of sale. From within the App Store, tap the download button, which will look like a Cloud with a down arrow. You will be prompted to enter your Apple ID and password. If you do not know your ID and password, visit Apple's Apple ID support site here. When the download is complete, the cloud icon in the App Store will change to an Open button. The app icon will also appear on the iPad desktop. Before proceeding to activation, please check your email for the activation email. The email will contain the necessary information to activate the account. Tip: If you're unable to locate this information, please contact a Technical Support Representative. They can retrieve this information after verifying security information. Next, key in your 4-digit mobile PIN number. If have not yet created a mobile PIN, enter the password you received in the initial email. You will then be prompted to create a PIN. Important: Choose a PIN that is easy to remember. This will be the PIN used to log into the App on future log-ins. Next, select the type of card reader being used. The MagTek iDynamo option is also used for the iDynamo 5 (Lightning Port), which is not pictured in the app. After activation, you will be brought to the main login screen. Enter the PIN you created, and you will be logged into the app. Upon first login, you will be presented with a tutorial. Click the orange Next button to scan through the tutorial pages, and click Close when finished. The app will ask if the user wants to use their current location. Tap OK. This will allow the app to print a mini map on receipts.